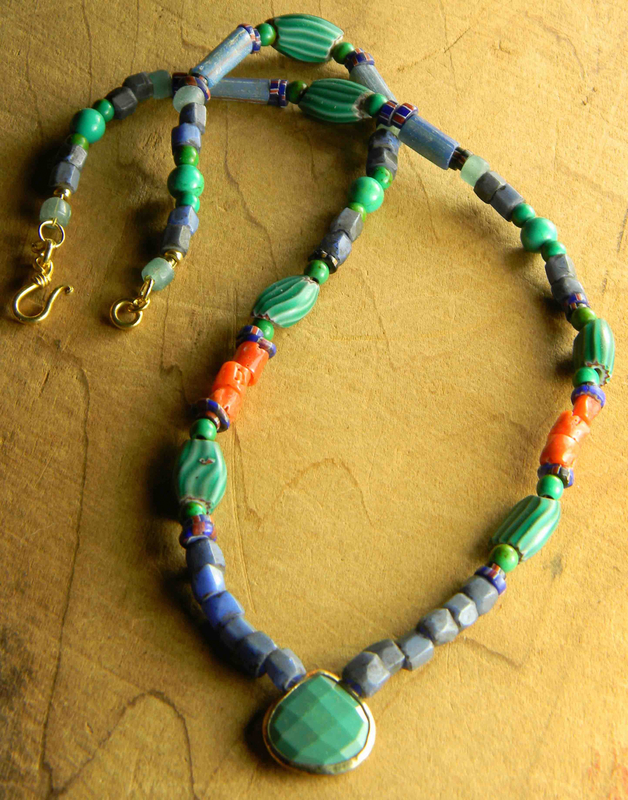 A gold rimmed teardrop of green turquoise is at the center of this colorful tribal necklace design. 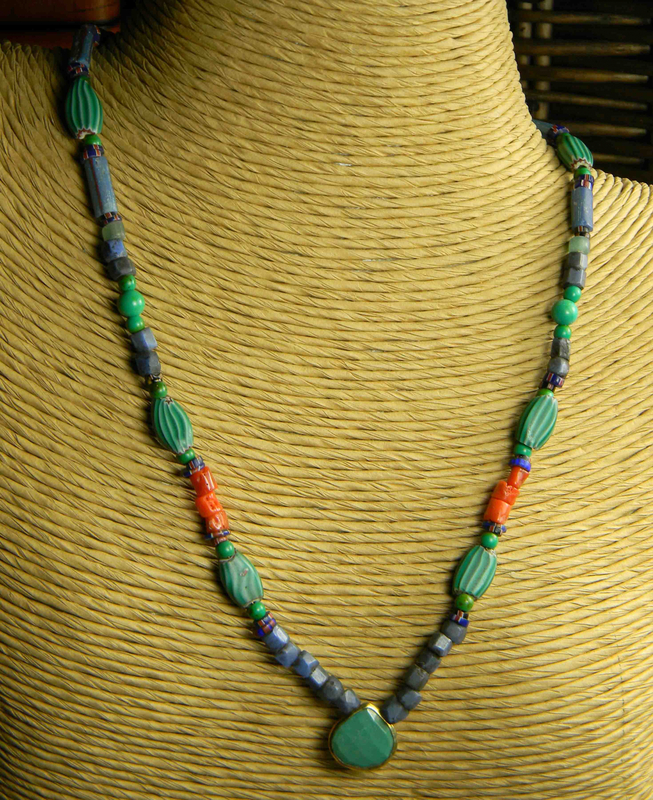 Mixed with vintage Russian Blue, green watermelon, and blue & red Aja beads, I have added just a touch of Mediterranean coral. 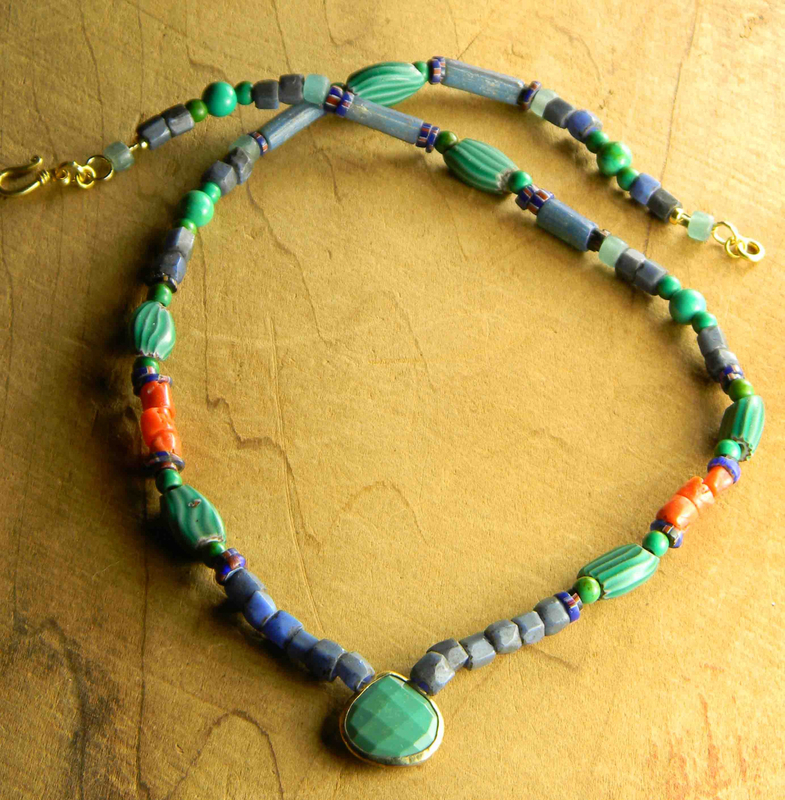 Here and there, we have more rounds of green turquoise in the arrangement. To complement the gold rimmed turquoise teardrop focal, I have added gold vermeil rings and hook and eye closure. The length of the necklace is 18 inches.